Michael: You fellas didn’t think this out, did you? Even if you could force me out, what do you think I’d leave behind, hm? (to Dean): You’d be nothing but blood and bone. 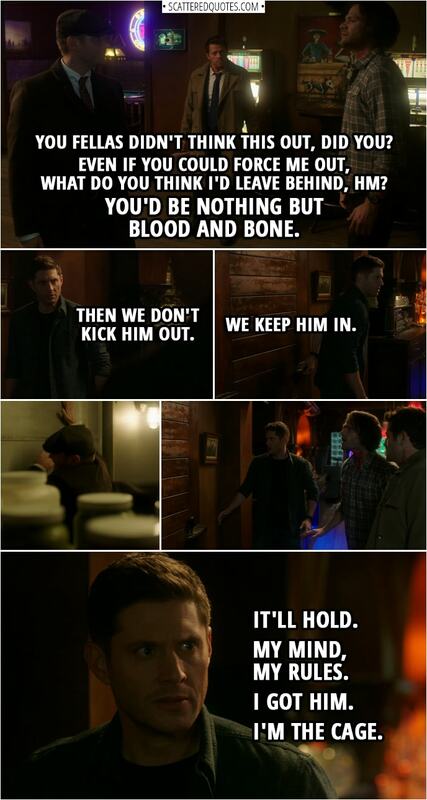 Dean Winchester: It’ll hold. My mind, my rules. I got him. I’m the Cage. 25.1.2019 I got him. I’m the Cage.